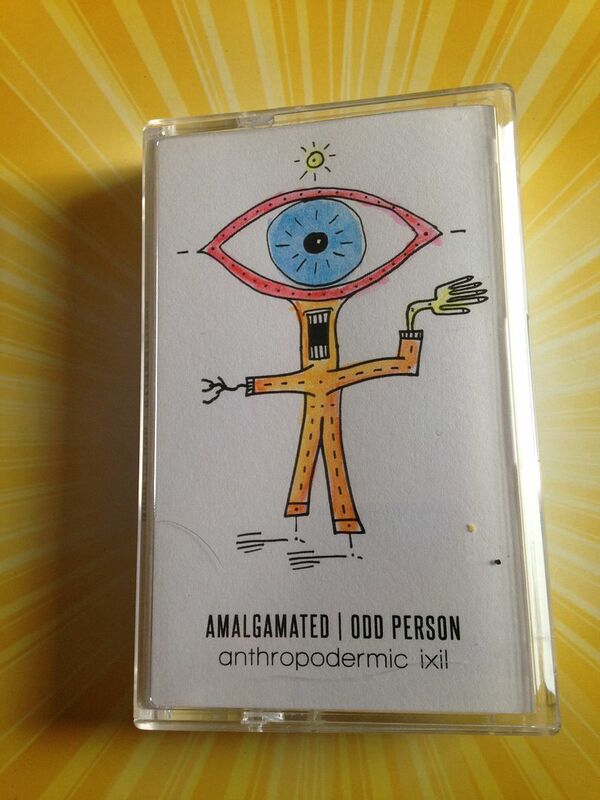 While I have not only listened to but reviewed Amalgamated before, this is my first time hearing Odd Person and, well, I myself am a bit of an odd person so I do feel as if this is something which I can relate to based only upon the artist name. Perhaps most people who find this cassette won't know either of these artists but it is somewhat nice for the kind people at Bicephalic Records to have this split between an artist I already know and one which I do not. 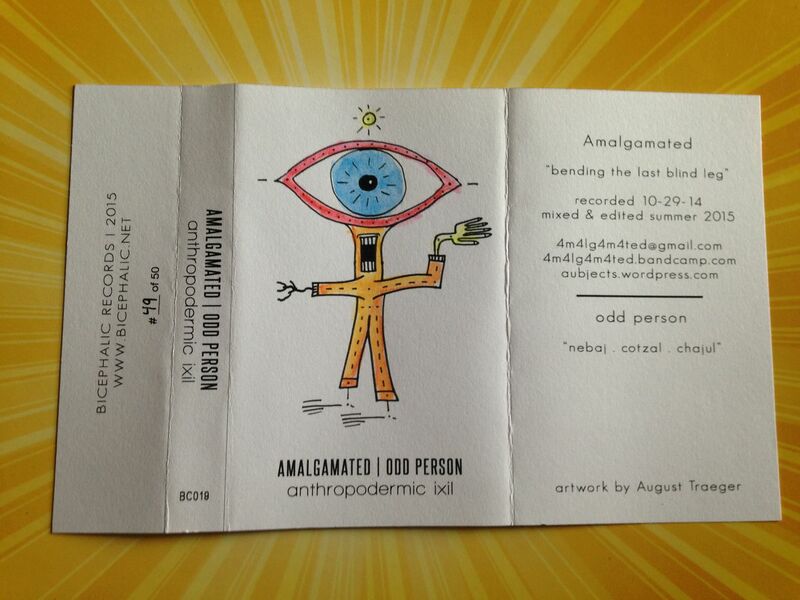 Amalgamated begins with mashed up singing and the speed is being manipulated. It's skipping, then singing, then weird electronics. The sounds are as if he is trying to say his name and then there is more speed manipulation. Guitar notes come in with whooshes followed by space lasers and all I can think of is a Pink Floyd laser light show. (Is it strange that I think of Pink Floyd more for their laser light shows than their actual studio albums?) 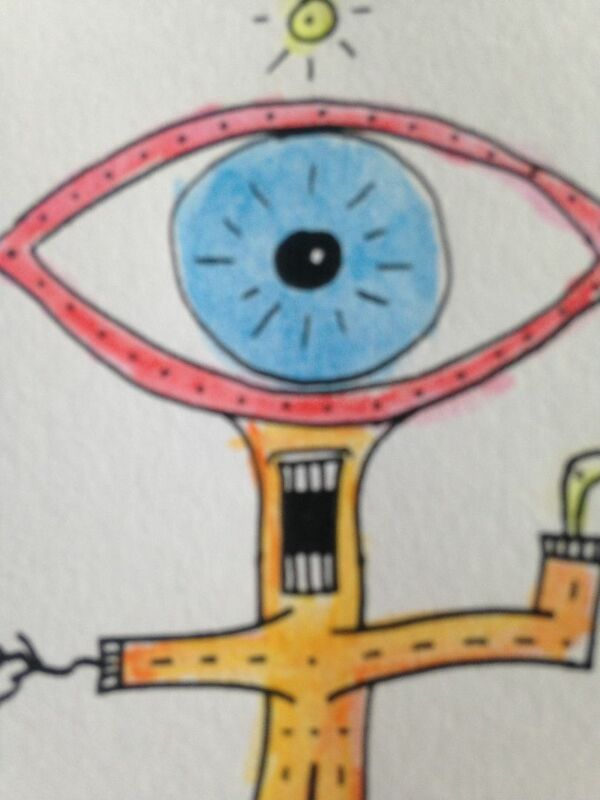 Something comes out next which sounds like drum beat loops but isn't quite made by drums perhaps. There is a certain grinding rhythm to it and then it fades out as if in victory. 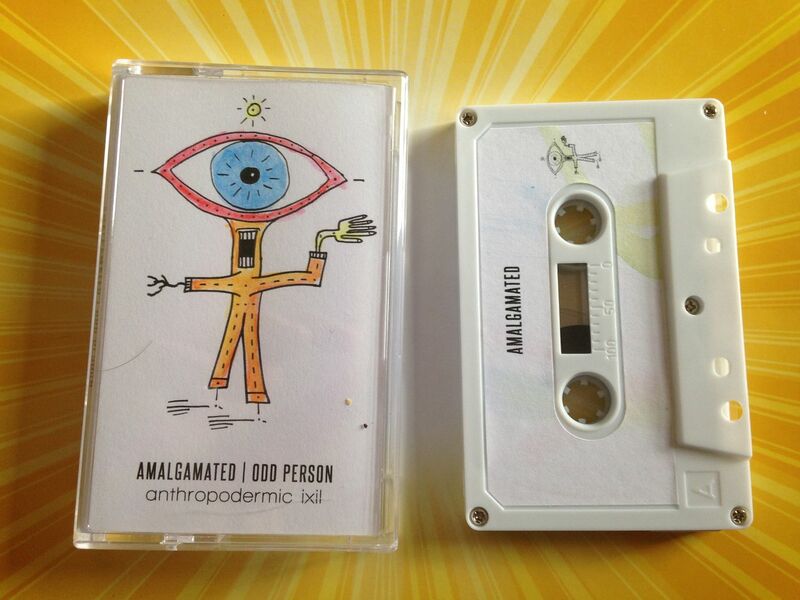 If you enjoyed Amalgamated's self-titled CD then you will also enjoy this and that should be your main selling point for this split cassette. But wait, there's more! 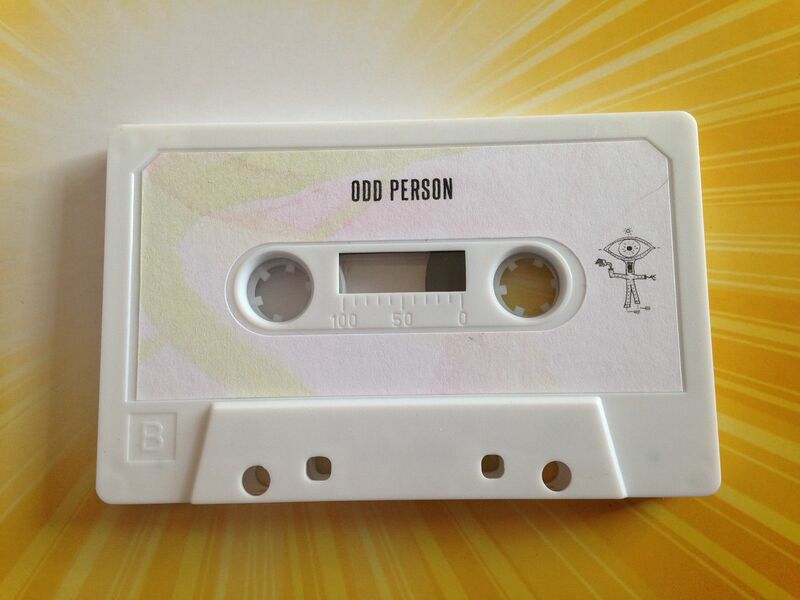 Odd Person begins Side B with pinball machine beeps and bloops, which also somehow have beats. Then it comes crashing down. This instantly has a unique sound to it and I love it right away as well. There is a somewhat acoustic sound in here and then it also has that in between pinball machine and ping pong table sound mixed in. It could also be a popcorn popper or that push toy that seemingly every kid gets but I was somehow lucky enough to avoid with Quentin. (Though we have seen them places and he's pushed them around-- we've just never had one in the house) It increases in intensity as if a metal detector looking for rare treasures on the beach somewhere. This somehow brings us into an electronic sense of Doctor Who-like laser sounds. The music also grows louder with this. It's as if someone is turning the volume knob up and down. There is a buzzing but it still reminds me of Doctor Who mixed with those chirps of locusts. So it has now become a swarm of locusts mixed with pinball pings. The guitar notes coming out next sound like when you play the really high strings up near the tuners and it is rather chaotic. This becomes somehow digital where it is robotic to the point where I also can think of it as even sounding like Wall-E though it also sounds as if it is trying to speak. If you are not interested in this cassette based on the Amalgamated side just know that the Odd Person also makes the price worth it. I would pay the $5 just for one of these sides but you're getting both and that just makes this that much better of a deal. 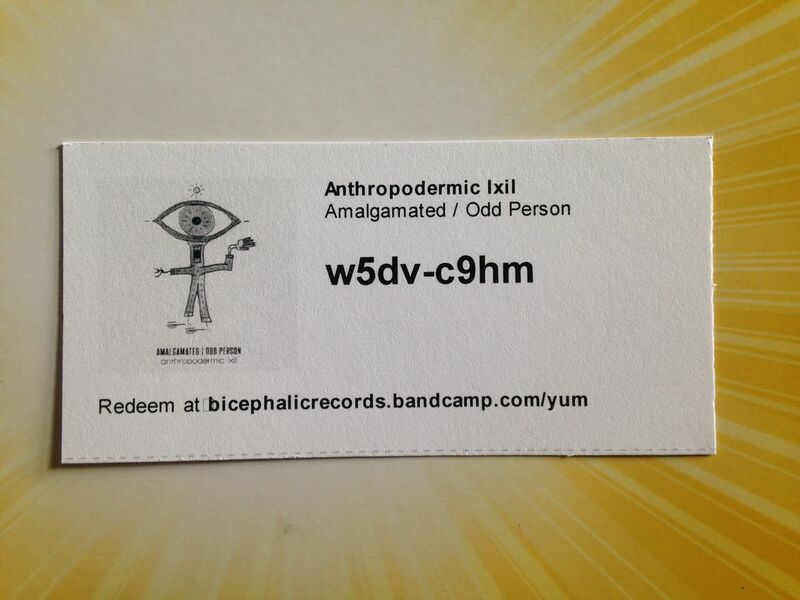 I can't wait to see what other split cassettes Bicephalic Records has planned for us in the future!